If you follow ciaafrique then you must by know that I am a big fan of the style of Mrs Obama. I can relate to her on so many levels. I am as tall as she is and i know hard it is to find clothing and shoes when you are big and tall let alone find it and look good in it. 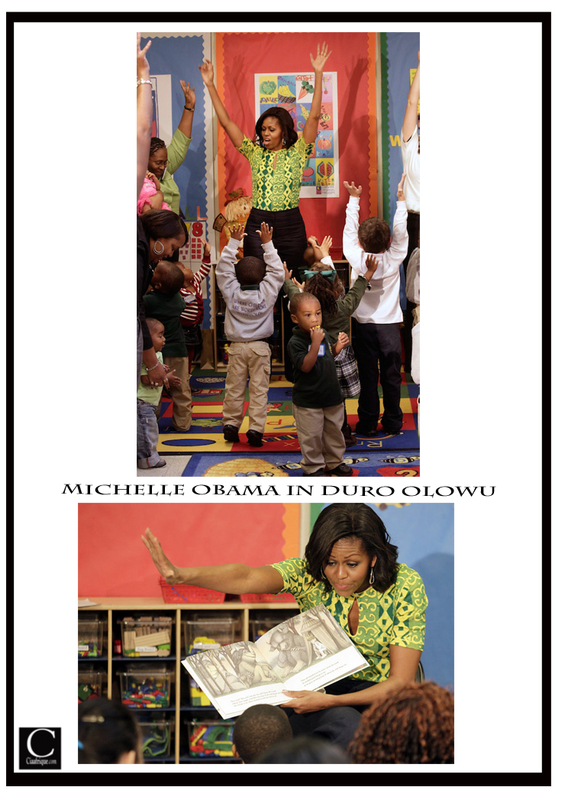 We've seen pictures of Michelle Obama within the last year wearing pieces from the one and only Nigerian Top designer Duro Oluwo. She wore this printed top a few days ago in New Orleans where she visited the Royal Castle Child Development Center . She not only wear her clothes but she also recycles them. Meaning that she wears them more that once to go to public events which is a No-No in the world a celebrity. I really don't see anything wrong with wearing the same item twice because it shows that you are just like anyone else. Maybe wearing a dress to the Oscars and then to the golden globes is a no-no. Anyways below are more pics of her wearing this top to a previous event. 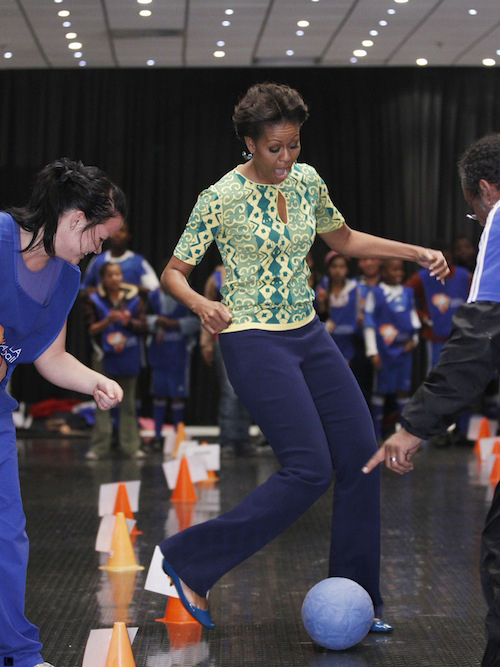 Michelle wore this top previously on her African tour. 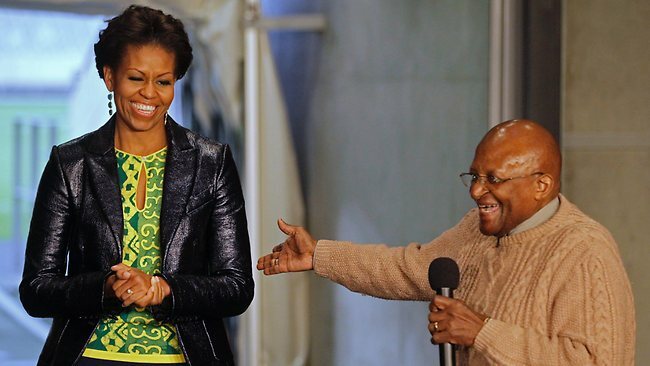 I really love the look she worked in South Africa. What do you say and what do you guys think about celebs wearing the same item to big events?